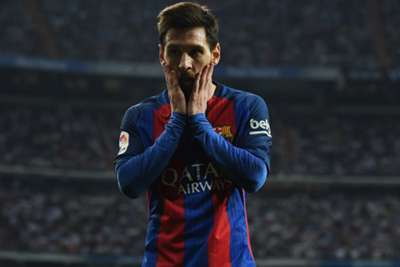 Real Madrid midfielder Marco Asensio believes there is no room for even Lionel Messi at the European champions. Asensio, 21, has been linked with a move away from the LaLiga giants, but is expected to sign a new deal with Madrid. Several players from Zinedine Zidane's star-studded squad are linked with switches to get more game time, including James Rodriguez and Alvaro Morata. But Asensio is happy with the Madrid squad as is, saying not even Barcelona and Argentina star Messi could be added. "Not right now," he told Marca when asked if Messi would fit at Madrid. "The squad is very good as it is. If we stay as we are, it's perfect." Asensio made 23 league appearances for Madrid in 2016-17, scoring three goals.